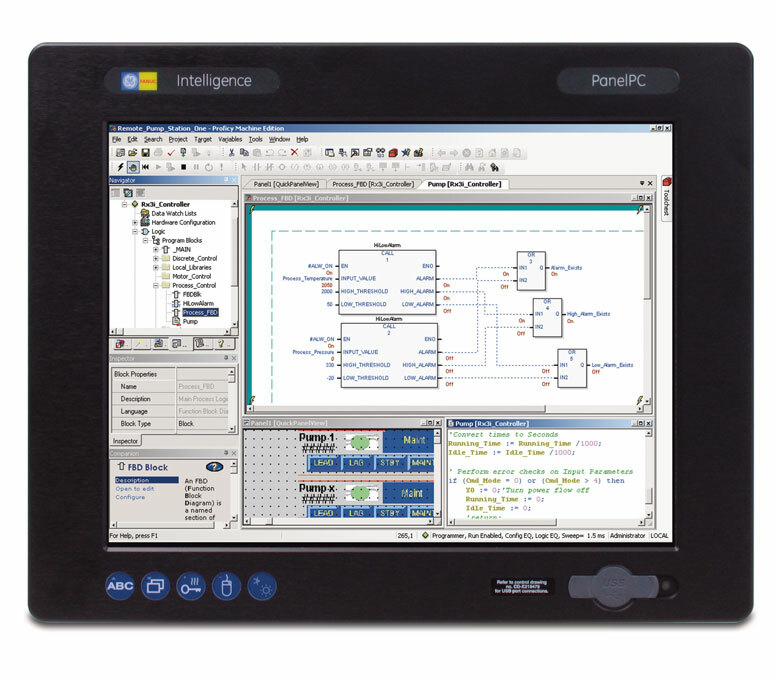 GE Fanuc's CIMPLICITY Machine Edition is an automation software breakthrough deploying HMI, motion, and multi-target control in an integrated development environment. This environment provides a common user interface, drag-and- drop editing, and a rich set of development tools. CIMPLICITY Machine Edition includes all the automation software components you need to reduce your programming, configuration, commissioning, monitoring, and maintenance costs. 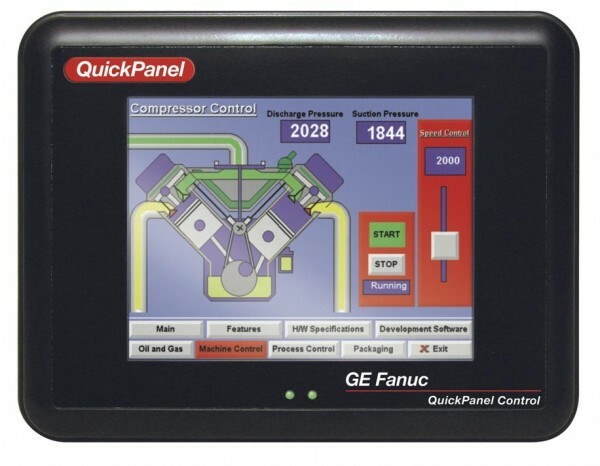 An HMI specifically designed to address the needs of machine-level operator interface and HMI requirements. 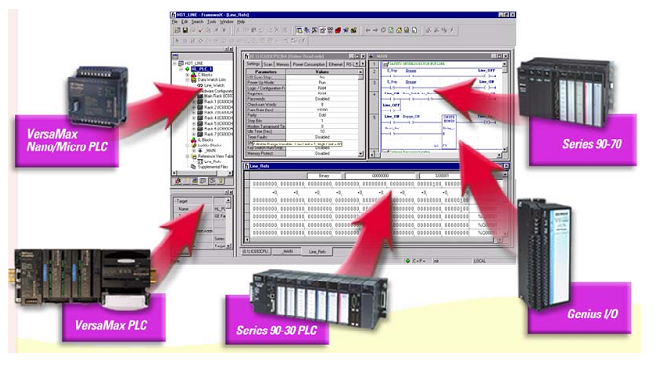 Includesa wide range of PLC/device drivers and OPC client/server support and provides remote connectivity for diagnostic and data monitoring. 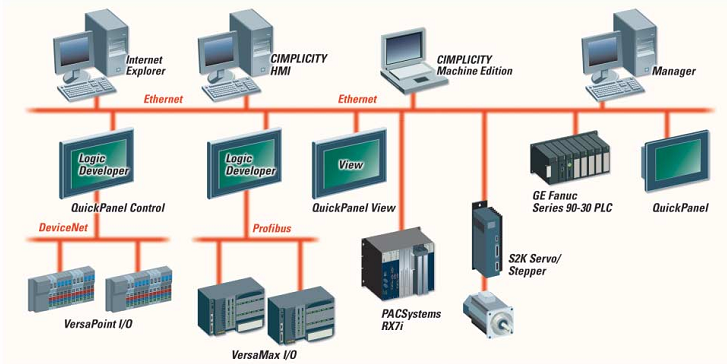 A proven PC-based development and runtime system providing all 5 IEC 1131 languages (Ladder Diagram, Structured Text, Instruction List, Function Block Diagram and Sequential Function Charts), web publishing of logic, and connectivity to a wide choice of PLC and open I/O devices.